"Dragos Badita's video is a contemplative essay, the product of an act of reclusion, a search for the self, and an un-dissimulated experiencing of the present. 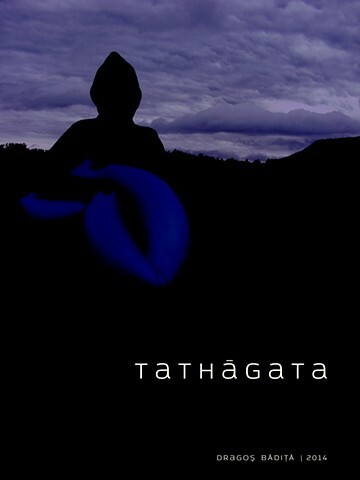 The film was shot in the course of a day and night in the outdoors, on the shores of Blue Lagoon, a lake near Cluj, and poetically conveys the artist;s experience of the atmosphere between the mental projections of his imagination and the givens of reality, including an encounter with a curious character: a strange silent boy. The title of the piece comes from Sanskrit and refers to the state of being totally and completely in the present moment, without the reactions and the mental filters whereby humans perceive the inner life and the outer reality. The film is conceived in such a way as to suggest the aspiration towards a vision peculiar to Eastern philosophies, using symbols and metaphors in order gradually to unveil the layers and covers of personal, subjective identity. Such a search also occurs in Dragos Badita's painting, his preffered medium of artistic expression, which focuses on capturing the presence of the characters, objects and circumstances of his existence, radiating directly through their very representation, without the mediation of secondary interpretations or additional messages."